GU-RU is a quartet comprising of keys, flute, drums and bass. 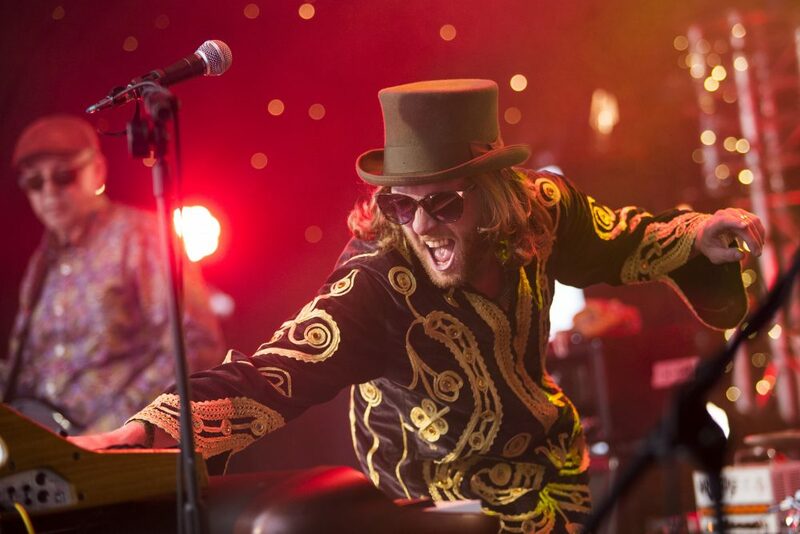 It is a “bouillabaisse of Cosmic funk, soul and Full-Tilt-Motor-Groove” (FMF), drawing inspiration from diverse artists such as The Doors, Todd Terje, Tame Impala and Herbie Hancock. For the past decade members of GU-RU have performed worldwide, working with the likes of The Crazy World of Arthur Brown, Alabama 3 and Z-Star to name but a few. Hot on the heels of their second EP ‘Into the Light’, GU-RU brings you ‘Flex’, the first single from their “hotly anticipated debut album” (BBC Introducing). “What a track… GU-RU living up to their name” (BBC Introducing). Flex marks a progression from GU-RU’s last release; described as “studio 54-meets-Ministry-of-Sound dazzling glitterball-and-laser workout.” (Plunger), the band has combined elements of house, space disco, prog and funk to create an instant dance-floor filler. The irresistible “discotastic” groove of Malcolm D’Sa (Drums) and John Kenna (Bass) pulsates insistently throughout, whilst Lee Spreadbury’s trademark old school synth tones skilfully interweave with new addition Naomi Perera’s “crystal flute lines”.